Cryptic Virus To Potentially Cripple and in Children; Studies Ongoing In what must have been a 21st century version of polio scare, parents and hospitals became frantic as children across different regions of U.S. started having difficulty of breathing, moving, swallowing, and in worst cases, speaking. The manifestations of the said infection are very much similar with polio but the culprit is different. As of now, vaccines are not available and ongoing studies are being conducted to establish association and causation. 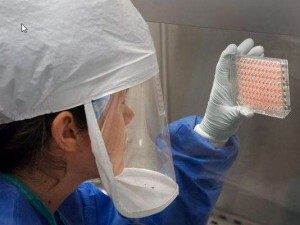 Doctors hope that in an expected outbreak in 6 months, they will be able to discover a treatment to handle a potential epidemic. This mysterious virus is called Enterovirus D-68 (EV D-68). The paralysis is referred as Acute Flaccid Myelitis. According to pediatric neurologists, the paralysis that caused orthopaedic complications closely resemble as that of polio’s. It started with vague manifestations experienced by a child such as colds, stomach upset, fever, and headache. Then, neck pain appeared which is believed to be meningitis as a complication. Weeks after, paralysis developed. Encephalitis, as such, is a fatal complication. Outbreak in pediatric patients lost at least 12 lives and presented with higher than expected number of hospitalizations that posed a challenge to hospitals’ bed capacity. Hence, U.S. Centers for Disease Control and Prevention (CDC) acknowledged it as one of its ‘most challenging public health threats’. Because the pathology of the disease is currently not well-established, CDC took a leap to expect the worst by correlating it with polio. Before polio vaccines were established on 1979, polio crippled and killed thousands of lives. Others survived but with serious orthopedic complications. However, CDC is considering also the possibility that Acute Flaccid Myelitis is an entirely different infection in pediatric clients. According to Mark Pallansch, Director of CDC Viral Disease Division, they are now currently reviewing cases to come up with its epidemiological trends. This is to determine possible associations between certain factors in children and the infection. Numerous studies are being conducted now. 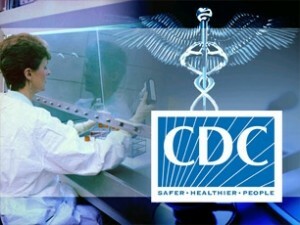 Sam Dominguez, a pediatric infectious disease specialist at Children’s Hospital in Colorado expressed concern about the possibility of the disease returning next summer. As a response, doctors are using a study conducted by Mary Anne Jackson of Children’s Mercy Hospitals and Clinics in Kansas City, Missouri to predict whether enterovirus will return next summer. Antibody tests against EV D-68 were conducted to various people from babies up to 65 years old to rule out the tricky pattern of the disease. The disease was observed to be occurring in tiny minority of children. It was found out that only people above 40 years old have the antibody. This makes an interpretation that if ever the infection will return, it won’t be as prevalent as it is this year. Meanwhile, it is recommended that the public be extra vigilant to each child’s manifestation. It is important that caregivers should not ignore something as simple as fever. The public should teach children proper hygiene and ensure that it is being properly maintained. The infection under study is grave enough to cripple children. It is vicious enough to steal children’s ability to walk and that is something we would not want children to suffer.